Is 15% the new 10% for Westside Office Vacancies? Rents on the Westside are climbing. Landlords and their brokers have declared good times, yet both CBRE and Newmark report vacancies at 12.7%for the Westside and 15% for Los Angeles at the end of the first quarter. Ten percent used to demarcate a landlord from tenant market. Only once vacancies dipped below 10%–landlords declared good times. The Westside’s occupancy has increased now for 4 straight years. After the dot com bust in the early 2000’s, with only three years of rising occupancy, the Westside hit a peak of 93.6% occupancy and a low of a 6.4% vacancy. San Francisco has a vacancy rate of 5% at the end of the first quarter 2015. 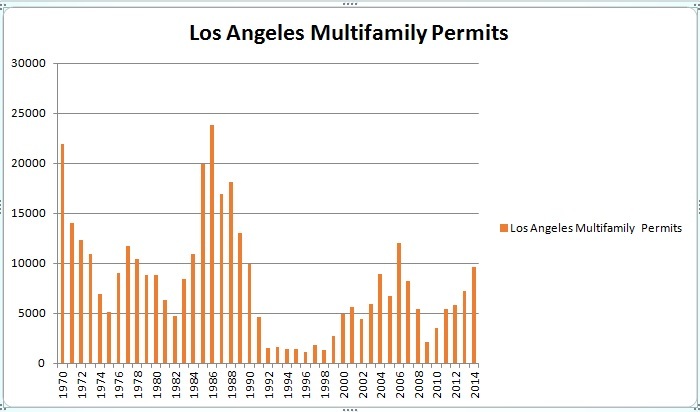 In the 90’s, Westside office vacancies dipped to 7%. Only in the 1980s did vacancy not break below the magic 10% due to massive new construction. So why are we so bullish with vacancies still over 10% The answer may involve the distribution of vacancies. Some areas of much hotter than areas. For examples, rents in West Los Angeles are still under or near $3 per square foot while rents in Santa Monica are over $4 per square foot. Creative office is now much hotter than conventional offices. Industry Partners reports the vacancy for creative office at only 8.4% Large blocks of space are much harder to come by than small spaces. Offices with 4 per 1000 parking are much more dear than those with only 2 per 1000 parking in today’s world of 5 employees per 1000 square feet. . As with the rest of the economy, this expansion is not shared equally. The San Francisco office market may face a very extreme downturn during the next recession, especially one which involves a sharp reduction in startup valuations and funding. The San Francisco office market is now dominated by technology companies and does not have the same diversity of tenants as other office markets. Colliers reports that tech firms represent 55% of San Francisco’s office leasing activity. The demand from tech tenants for space swings wildly with credit cycles. 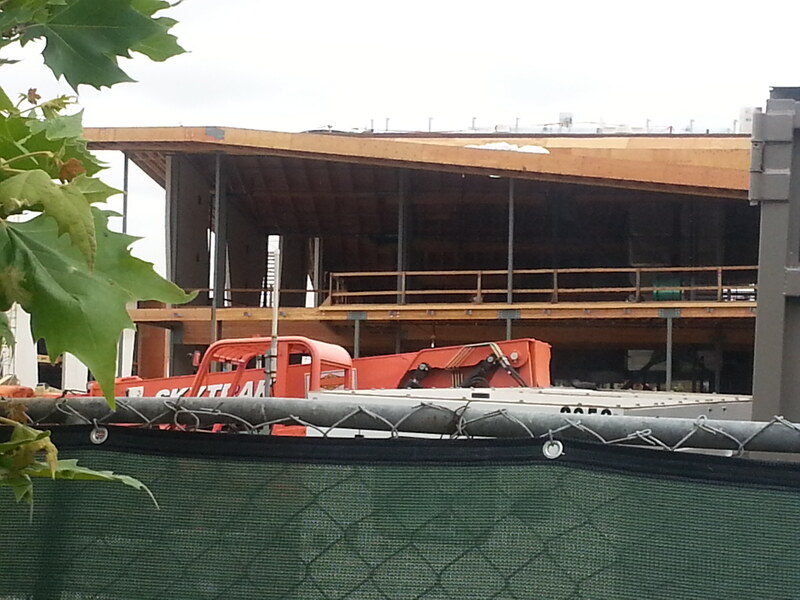 Further, developers have plans for a level of new office construction not seen in decades. This volatile demand combined with a lag in supply is similar to the hog or cobweb cycle. In the cobweb or hog cycle, when prices are high, more investments are made in hog breeding. Their effect, however, is delayed due to the breeding time. It takes three to four years to breed hogs. Nobody realizes how many hogs are being produced. Then the market becomes saturated At the same time, demand shifts downward due to external economic events (like recessions). Prices plunge. Production is reduced but not immediately due to the hogs in the pipeline. Finally, after several years, hogs production percipitously declines. Just as demand and supply reach a new equilibrium at lower prices, demand shifts again upward due to external economic cyclical events. Demand surges and prices spike.This procedure repeats itself cyclically. 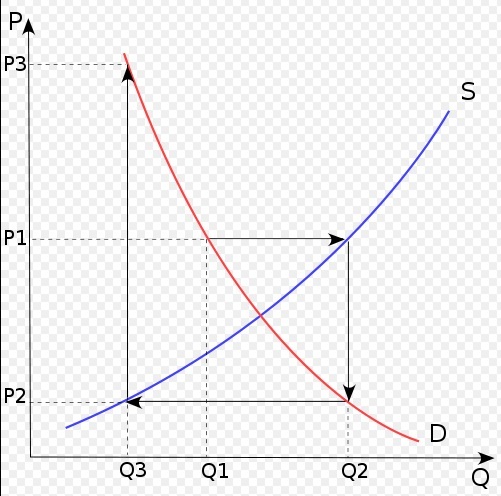 The resulting supply-demand graph resembles a cobweb. A permanent equilibrium is never reached. Instead, prices swing wildly. Does this describe the San Francisco office market? San Francisco has averaged absorption of approximately 400,000 square feet per year over the last 24 years and 627,000 square feet per year over the last ten years. During the dot com boom, absorption clocked in at 1 million square feet in 1999 and 1,258,000 square feet in 2000. Occupancies reached 97% in 1999, and class A rents reached $78 per square foot. Developers responded with 2.5 million square feet under construction in 2000 and 2.8 million square feet in 2001. However, in 2001 just as this supply was coming online, absorption declined to a -6.9 million square feet. The absorption declined again in 2002 by a negative1.2 million square feet. 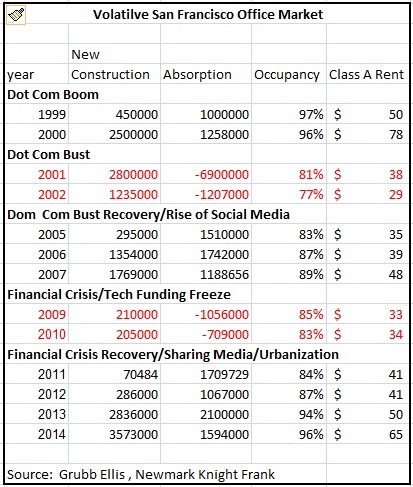 Occupancies declined to 77% in 2002 (over 40% vacancy in SOMA), and class A rents fell to $28 by 2003. Between 2004 to 2007, the market staged a comeback with average annual absorption of 1.4 million square feet. Developers constructed only 375,000 square feet between 2003 and 2005. This lack of supply resulted in occupancies climbing to 89% in 2007, and class A rents climbing to $48 per square foot. Developers had 1.3 million under construction in 2006 and 1.7 million in 2007. Alas, during the recessions in 2009 and 2010, absorption fell to -1 million and -700,000, respectively. Class A occupancies fell to 83% in 2010, and class A rents fell to $33 in 2009. Between 2008 and 2012–office footage under construction fell to an average of 197,000 square feet. A recovery started in 2011, and absorption has averaged a remarkable 1.7 million square feet between 2011 and 2014. Occupancies rose to close to 96% at the end of 2014, and class A rents reached $65 per square foot. Yet,office space under construction has averaged 3.2 million square feet over the last two years. In their first quarter 2015 report, Colliers claims over 5 million square feet of new office space is under construction and another 10.8 million is in planning. Socksite claims that San Francisco has the largest pipeline in 30 years. So far, very little of this new supply has been completed: see: http://www.socketsite.com/archives/2014/12/san-franciscos-largest-office-space-pipeline-30-years.html. The low occupancies and increasing rents are encouraging developers to construct office space far in excess of the historical averages. In the next downtown–given the nature of venture funding–absorption could turn significantly negative just as the tsunami of new supply hits the market, just like the classic hog cycle. Much of tech demand comes from start ups who are highly dependent on new funds for their survival: see http://www.globalupside.com/silicon-valley-vaporization-are-startups-burning-too-much-cash/. If funding freezes up as it did in the last two recessions, many of these companies, as Marc Andreessen says, will vaporize: http://www.businessinsider.com/marc-andreessen-on-startup-burn-rates-worry-2014-9 . During the dotcom boom, many tech firms leased space they did not need and quickly abandoned during the bust. This time around, tech firms are only leasing what they need. However, San Francisco developers have produced and plan to produce a much larger supply of new office space than that supplied during the dot com boom. Further, during the dotcom boom, tech firms gave landlords mega letter of credits as security–from 12 to 24 months Today, tech firms are loath to give more than 6 months security. Some would argue that the demand has permanently shifted as more businesses move back into the City to follow their employees lifestyle. San Francisco and technology are ground zero for this movement. In the long run and over the next fifteen years, this argument will be true. San Francisco will continue to prosper. However, a good part of what is happening in the short run can be just a classic hog cycle, a cobweb. One must be prepared for extreme volatility. PMI Acquires 10 Unit Echo Park Apt Building for Renovation! 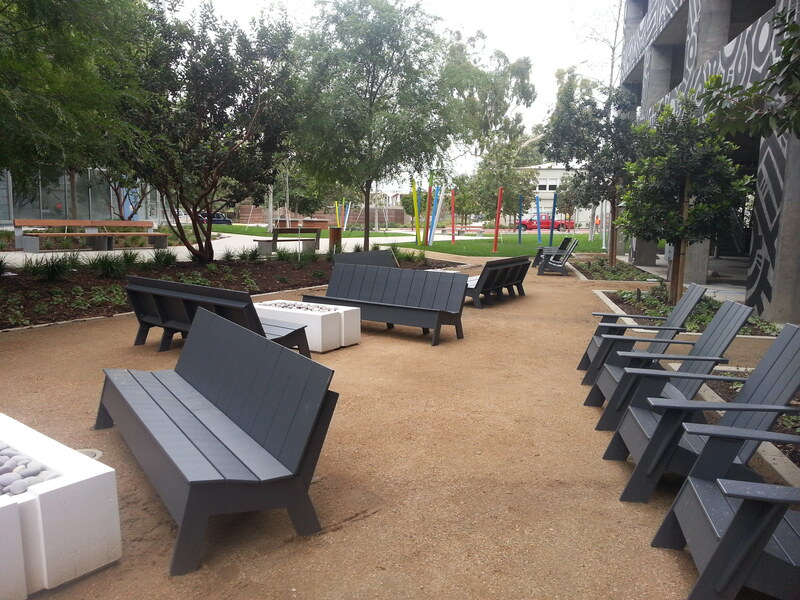 PMI Expands Its Echo Park Portfolio Again! We are pleased to announce our acquisition of 251 North Rosemont Ave, a ten unit apartment building in the new Echo Park neighborhood of Los Angeles. The purchase price was $1,575,000 with a GRM of 14.55. Just south of Temple Street and the 101 Freeway, the defacto boundaries of Echo Park have expanded as new retail, upgraded housing, and millennials in the creative industries push into the adjacent neighborhoods. We are actively expanding our portfolio to include properties in these neighborhoods, providing modern creative housing unlike anything else in these locations. We intend to reinvent and extensively renovate this stereotypical 1929 building into a contemporary modern complex to fit the taste of the Creatives moving into and near Echo Park. We will fix some of the building’s shortcomings, starting by constructing brand new interiors. On the outside, we will maintain and enhance the original property’s character while including a twist of hip. 251 N Rosemont is PMI’s 21st acquisition in Northeast Los Angeles.